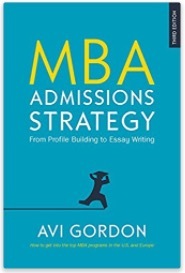 So, July 1 it is, and the 2014 MBA admissions season is definitely now upon us. Having been in this industry for 11 years now, I feel it might be useful to open this season’s posts with a few short thoughts on the fads and fashions in MBA admissions, and how while lots of things change nothing fundamental changes. Let’s start with what doesn’t change, which is that an MBA from an elite school is, for most, a dramatic career boost both in terms of opportunity and earnings. What also stays exactly the same is that the incremental relative career boost from an elite school (global top-15, more or less) is far greater than merely a good school – and everyone knows this, including recruiters. What does change is how Adcoms go about screening. But even this has not changed much over the years. File data, GMAT (or GRE) score, MBA resume, recommendations, extra-murals, and allied personal and professional boxes to check stay effectively the same from year to year (with some test score and general achievement inflation, undeniably). The application element that is constantly in motion is the way MBA Adcoms ask you, the applicant, to talk about yourself via essays, or what stands in for the essays. Time was you had to write a long description about yourself —something like the INSEAD application remains to this day. But then two things happened. First it became not-so-clear that applicants were doing their own writing, which led to Adcoms shortening the writing obligation. The jury is out on how well this alternative communication works, not least because it judges applicants’ “flashness” with social- or multi-media rather than what Adcom really needs to judge, which is how good a b-school player, and subsequently how great a manager you will turn out to be. Don’t let the tapering off of overall essay text-length obligation lull you into a false sense of security. As I’ve written in my book, and here on this site in previous posts, the essays play a singular role and this is not usurped or ursurpable. 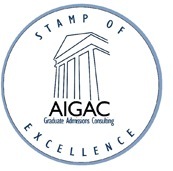 Essays package you for the admissions committee. They bring your file factoids to life. They provide the juice that gets the committee to notice you specifically from among a mass of competitors who present similar file achievements and scores. So less bulk doesn’t mean less important. In fact, less space makes the essays harder. Now more than ever, every single word matters. Think of it like exchanging a beer for a tot of Jack Daniels. Less space, not less kick.